The staff were extremely helpful and very friendly and did an excellent job. Very happy I chose to use national tyres today. Excellent service from the two guys, even though they were running around, dealing with other customers and phone calls. Fast, efficient, friendly service ! Superb. Friendly. They showed me everything they did. Really great. I made an appointment for 3.0.clock today and when I arrived, the car was put straight onto the ramps and work started. They also checked the tracking which was out, so that was rectified as well. I recently had to have a puncture repair at Kidderminster Branch, on the Worcester road. I found the staff at this branch (Dan, Mara and Rhys) to be extremely helpful, knowledgeable and very professional providing excellent customer service. I would recommend them to any potential customer. Extremely freindly helpfull staff who took the trouble to be accommodating, informative and quick in delivering a service and thats something you dont come across much these days. I was served by a very helpful and polite man, i was very impressed by his manner. My problem was very quickly diagnosed and feedback given to me on what was needed and a price range in an easy to understand manner. Both the workmanship and customer relationship was excellent. The staff at the Kidderminster branch were really professional and helpful and sorted out my issue really quickly. They were really polite and friendly. Excellent Job, brakes now give greater reassurance. Zac Capewell is an excellent technician, very professional, friendly and would recommend him to anyone. manger on duty was very good and friendly and knew he's stuff . Efficiency by booking an appointment and then being seen on time. Friendly efficient service. The site is easily accessible with ample parking. Good waiting area and offered coffee. Helpful, friendly and dealt with quickly and professionally. Helpful, polite staff and fast service. I have given a 10 because of the friendly and efficient service received. Professional branch manager. Quick work and repair, always vouchers available. Clean workshop and quality oil, filter and tyres used. All round good experience, manager had good knowledge of the products, staff did their jobs quickly and professionaly. Well pleased. Quick, professional and very competitively priced service. Because there was no waiting queue. First class service and very friendly staff. Very quick to order parts and very good service.. Both Michael and Kyle were superb. They provided a new tyre, fitted it to my wheel, fitted that wheel to the offside front and then put the original offside front wheel in the spare position. Finally they jump started my vehicle because the battery was low. They made the entire process a pleasure! Paddy the fitter was professional, easy to talk to, had a sense of humour and made the visit very eay. The manager who was from Worcester branch but helping out at kiddiminster was fantastic and got me back on the road within 30mins. Good reliable service and quality. straight honest approach with good prices and good deals. They could sort my brakes out there and then, told me of other issues that will need doing at some point in the future as well. Staff pleasant, very obliging and efficient. Fast efficient service, friendly and a very reasonable price. Really quick and efficient service. Staff were helpful and explained everything to me. Price was a little more than I expected which is why it wasn't a 10 but still very happy. I needed a new battery & when I phoned in Lee gave me a quote said they had one in & when I arrived got it fitted in no time . Professional, efficient and friendly service at a great price.....not worth doing it myself! Very helpful in pointing out specific issues with car outside of the main work. Welcoming and enthusiastic staff take a real interest in the job. Competitive price and willingness to help. The price was very competitive and the service provided by Zach Caldwell was very friendly, efficient and informative. Friendly and prompt service. Arranged for the parts to be delivered that they didn't have originally and booked us in. Price quoted was the price we paid, helpful staff and quickly fitted. Excellent and courteous service plus free advice. Cannot fault the experience. I received some honest and professional advice from Warren at Kidderminster on Wednesday 16th April. This was after visiting Kwik Fit who were unable to diagnose a fault. Excellent Service! Your Colleague Warren Freeman knows the importance of Customer Loyalty Well Done! Excellently trained staff, very helpful, respectful and polite. Nothing too much trouble. Car ready when promised. Very clean and tidy waiting area. Competitive price and good customer service. handy to get to, staff helpful and courteous. Very helpful, and helped me to choose the best tyres, very friendly staff! And were happy to help immediately . Very pleased with the service I was given. I found the sevice and very fiendly, and employees knowledge goo. Telephone enquiry was positive and helpful. On arrival I was welcomed and invited into sitting room. I was told I would have to wait about 10 minutes, but it was significantly longer than this. The price was competitive. The online voucher for battery was helpful. The staff were very courteous. Price promise, polite staff with clean waiting room. The staff gave professional service which was above and beyond expectations. Value for money, clean premises, helpful staff, speedy service, voucher scheme. The honesty of the staff. Ie.. John Turner at Kidderminster was honest when it came to telling me my Punctured tyre could be fixed, instead of telling me I would need a brand new tyre. Also the speed of the person when fixing my tyre. 1st Class. Good service, keen price, local depot. I couldn't fault the service. Friendly & helpful and good price for the tyres that I needed with no hidden extras. staff are always helpful and they carry out the work swiftly. The manager, Paul Hickinbottom is very polite and helpful. THE MEMBER OF STAFF I DEALT WITH WAS VERY HELPFUL AND APPROACHABLE. Professional, friendly service. Honest assessment of problems and cost. Fast and efficient service, prices were competitive and the staff were helpful. Fast & friendly service, whilst being totally professional. Excellent service on recent visit. Great place for me and wifee to relax and enjoy cup of coffee/tea, read the paper, have a sandwich while we wait an excellant professional service and value for money from Paul and his team @ Kidderminster branch. Excellent service, fast professional but friendly staff, great value for money. Free coffee! Very friendly customer focused staff with a relaxing experience while waiting for all round professional service. Very professional, friendly & polite service. Friendle, polite and efficient staff. I travel 20 miles there and back for this evan though I could go to somewhere else nearer to home. Paul Hickinbottom great guy. 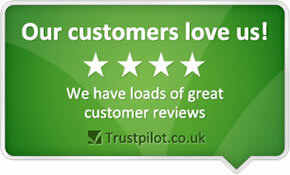 They were very helpful, did a good job and gave good quotes however I did have to wait for longer than they said.